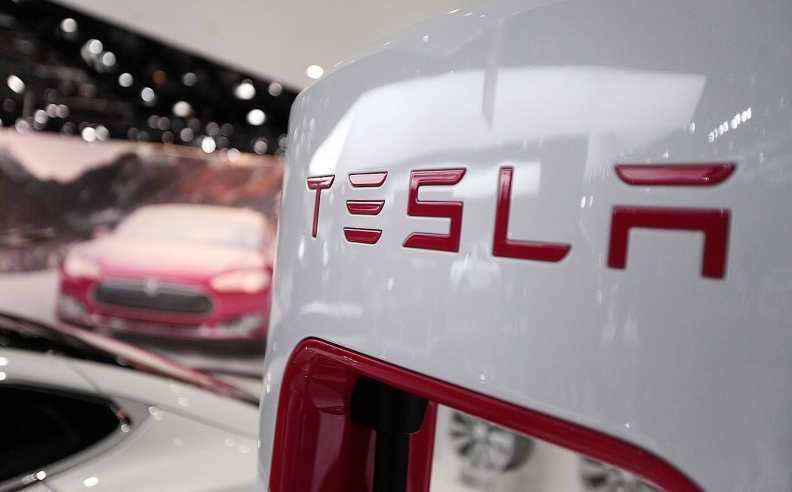 Tesla Motors is cooperating with French local authorities investigating a fire involving one of its Model S cars during a test drive in Biarritz in the south of France. Passengers were able to get out of the car, a Model S 90 D, safely before the fire, the spokesman said. The incident happened during a test drive event organized by Tesla in France, the spokesman said. In 2013, Tesla's shares fell sharply after images emerged of a Model S catching fire after a driver struck a large metal object that punctured a cover protecting the lithium-ion battery. Lithium-ion batteries are vulnerable to catching fire if damaged. Overall the Model S is seen as a safe vehicle. It has won a five-star safety rating from the U.S. National Highway Traffic Safety Administration in every testing category. The Model S also has the highest rating given by influential magazine Consumer Reports, with a score of 99 out of 100 points.